This was shot on our Namibia Untamed workshop. The dry desert air and lack of light pollution is perfect for night photography, which is exactly what we did that night in the desert. 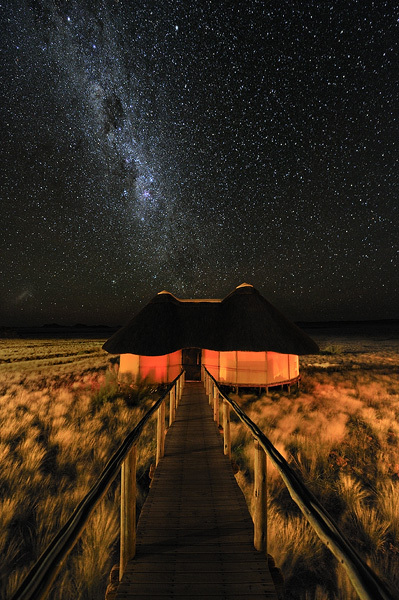 When we returned to our lodge I noticed that the Milky Way was pointing straight down to our room. I turned on all the lights inside and returned to the walkway to take this shot. The grass is illuminated by the lights from the lodge.